Money never becomes a hurdle when you cleverly go by the tactics to remodel or renovate your bedroom elegantly. Most of our online customers complained that they have invested a huge amount on renovation but didn't get good results. Therefore, don’t make haste. Remember, if you are going to make certain changes within your existing bedroom without a proper plan, then surely you are wasting your time as well as money for nothing. You know bedroom is such a place where you sit and relax comfortably after day’s work. So, if you really want to upgrade your bedroom to its perfection, then we have some ideas with us which will inspire and assist you a lot in making your bedroom look new. Make your existing bed room more spacious by getting aside the excess furniture’s and fittings lying around it uselessly. You will see that your bedroom has become so tidy to move frequently within even without facing any inconvenience. You may also remove other unwanted articles that are being used sparingly. These could be a pair of chair or faded wall paintings having no worth at all. This is the most inexpensive way to make your bedroom look as fresh as ever. If you have a small room then small bed is the only option to be accommodated within your bedroom conveniently. Don’t try to go with the big bed as it could make your room more untidy. Doing so, you will virtually realize that now your bedroom is no more congested and looks spacious then before. Going with too many features within the bedroom is not a wise step. These features will naturally divert your attention and make you feel perturb all the way. Therefore, make it a point not to clutter the space by placing or fixing so many things unnecessarily. 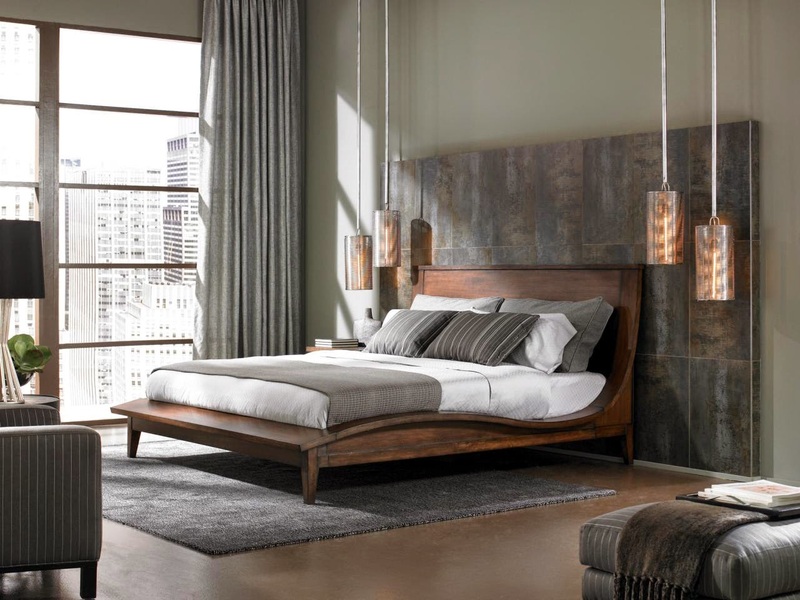 Focus your attention on one feature that is your bed and lighting arrangement which is the ultimate solution to attain comfort and all time happiness within. No doubt, cluttered bedroom would not extend you the restful sleep at all. After day’s work you get tired and obviously intend to find a place where you could find solace after you get a nap. Well, it is your bedroom that may serve your better for the purpose instantly. So, always try to accommodate only those things in your bedroom that are needed by you direly. Your bed linens, curtains or even clothes of your daily use when get dirty, shift these immediately to your washing room to make your bedroom spacious and clutter free. Your bedroom certainly looks gorgeous, if you arrange some luxurious pillows and pillow covers along with beautiful but attractive linen to its perfection. It’s a cheap and best idea that would not eat out your wallet dearly. Apply a coat of paint suitably that would make your bedroom much brighter than ever. Also consider for some good lighting arrangement along with a mirror beside your window which will help the light bounce back to make your bedroom all glittering. Kindly go through it and let us have your comments if any. Thanks.